I'm combining a few things in today's blog post. 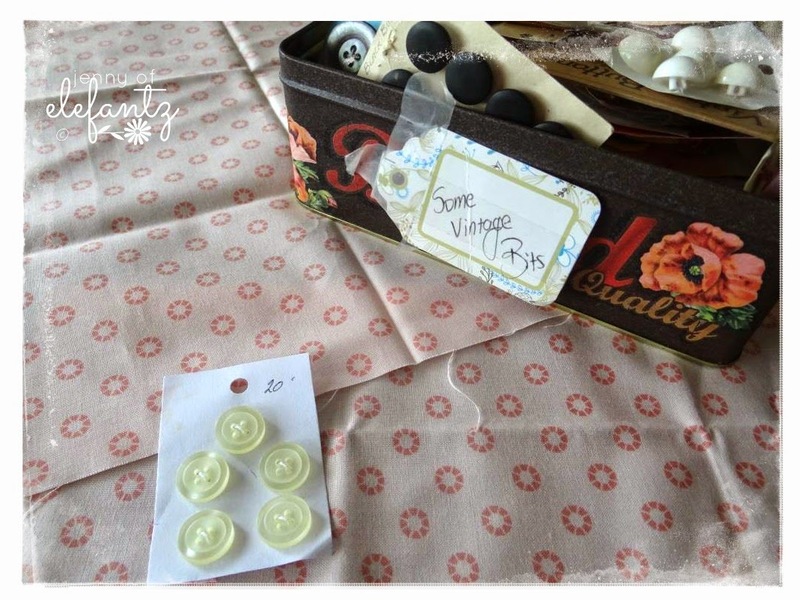 It's a UFO finish for me, it is also this week's tutorial, and it's the eighth Rosedaisy Designs tutorial (of ten) that I normally share on the 20th of the month. 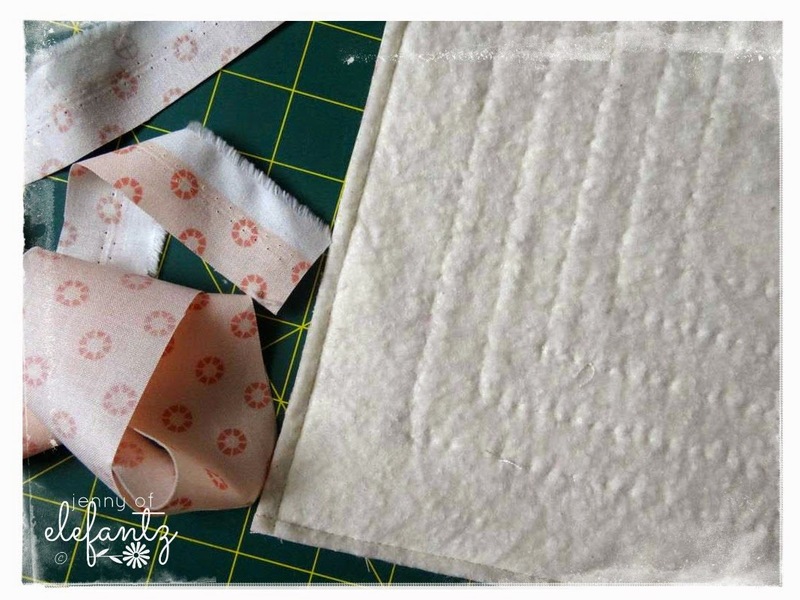 More importantly, it's a very simple project for using up your orphan jelly roll strips! This is one of my favourite patterns from The Rosedaisy Designs of last year, and I've deliberately held off using it for a tutorial until now, our first month of A Year of Gentle Domesticity. 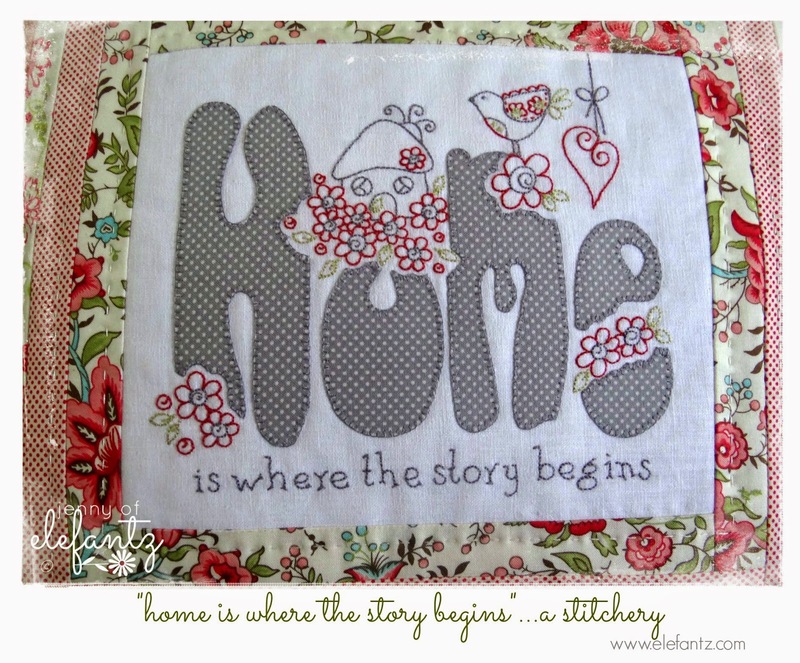 "HOME": the message embroidered within reflects exactly where my heart is, and that every story shared over a lifetime usually begins there. You don't have to use my stitchery to make this project (but if you'd like to it's HERE as a pdf purchase from my shop) - choose any UFO block you have tucked away, whether that be a stitchery or a patchwork piece, some cross-stitch, or a sweet piece of a vintage doily. The instructions do not need to be followed exactly with regards to measurement. 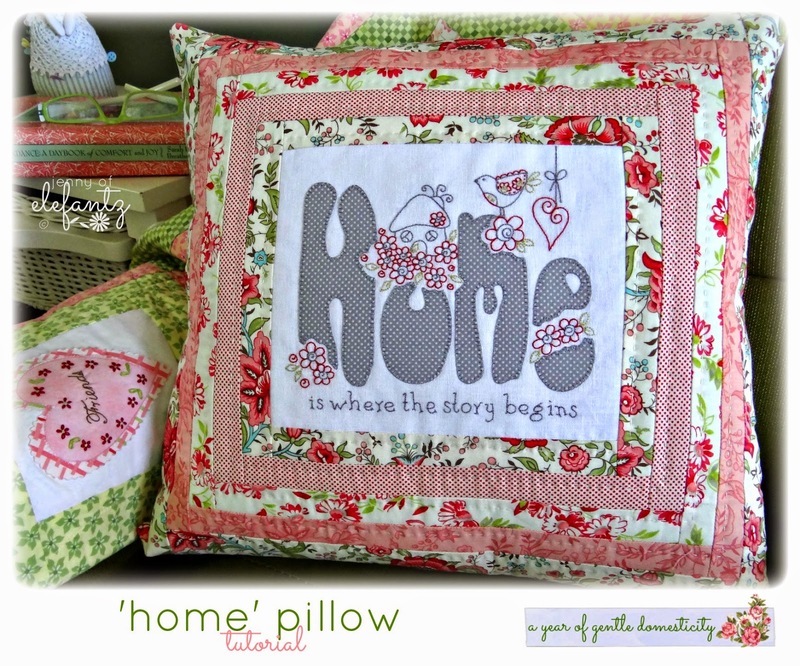 It's a simple pillow and can be made with any size feature block in the centre! One jelly roll strip is 2½” wide x the width of the fabric (usually 43") but I cut mine in half to give me two, 1¼” x 43" strips instead. 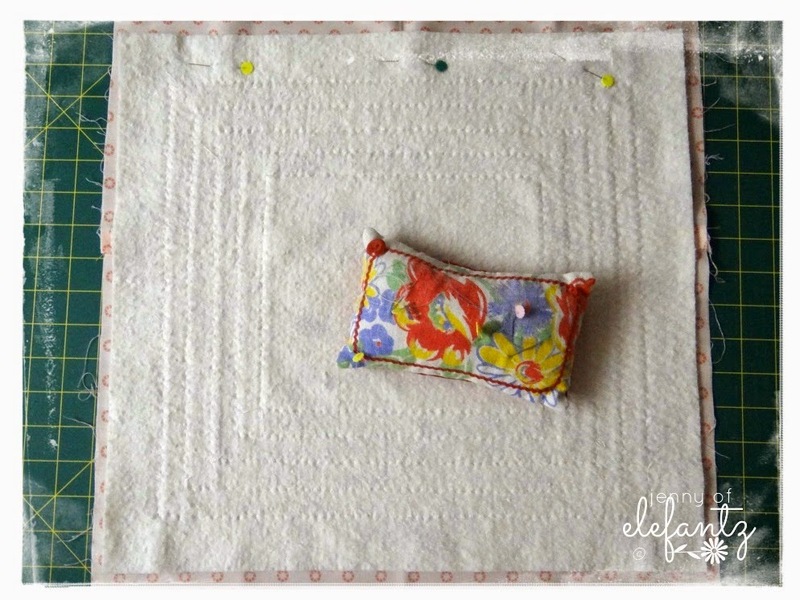 This is how simple the scrappy pillow is - just start by sewing one, 1¼” fabric length around all four sides of the block. Sew across the top and bottom first, then down both sides. 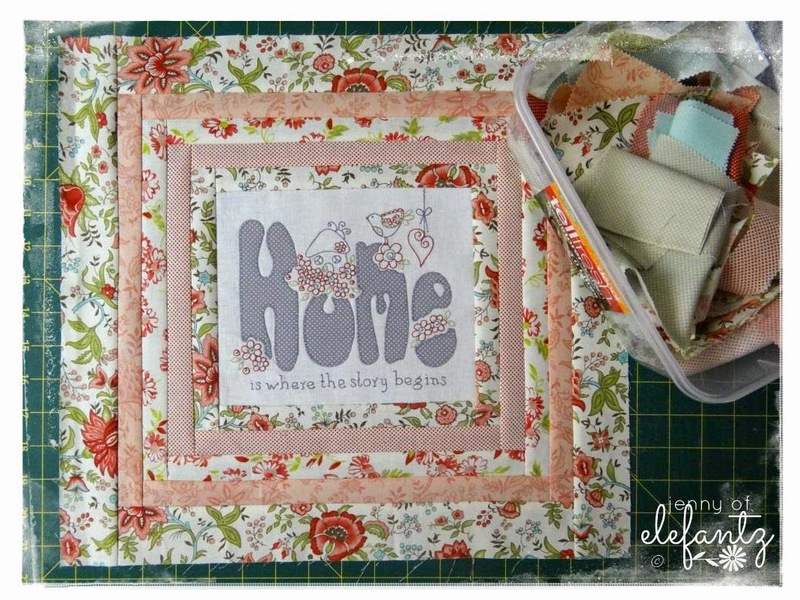 The next border is the same but with a different fabric, then continue with as many of the 1¼” borders as you like - it all depends on how large you would like your pillow to be. At this stage my pillow size was just what I needed, so it was time to baste it to a piece of cotton quilt wadding/batting and hand quilt. Make sure the wadding is around 2" larger than your pillow top. 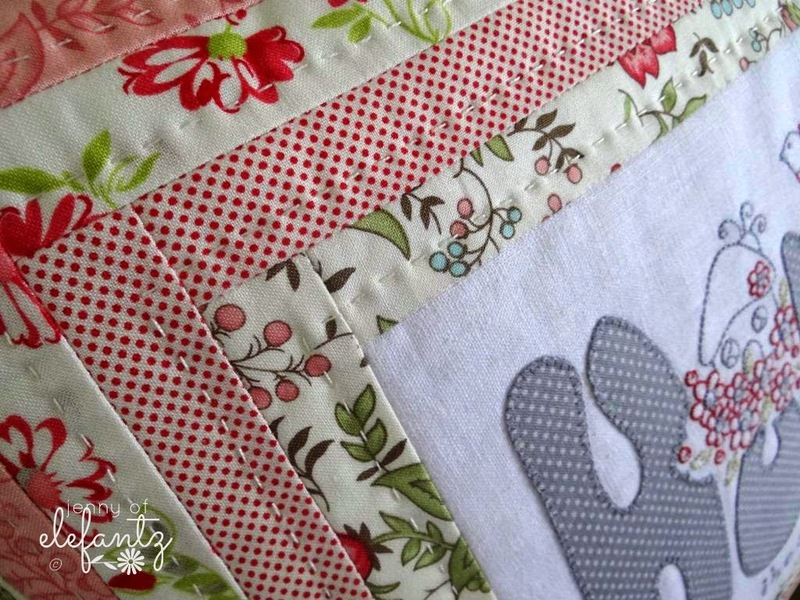 I love the effect of this kind of quilting, and it's so quick and relaxing on small projects! ...I put the pillow front away while I made the back. 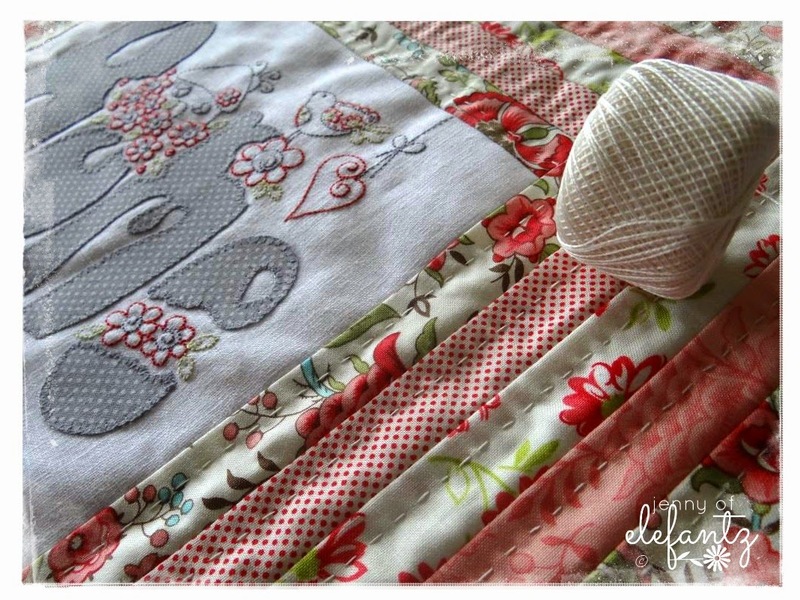 If you keep your pillow front at least 3" smaller than a fat quarter is long, you can use an orphan fat quarter to make the back. ...and folded a 3/4" doubled hem along the two cut edges, which I then stitched with my machine. Choose at least 3 buttons. They don't have to be the same size or shape (quite often mine are not). 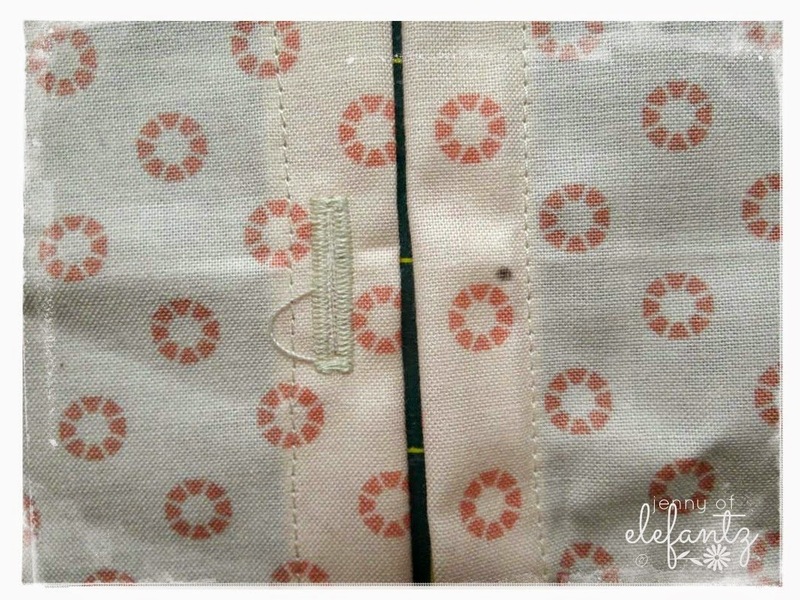 Sew your buttonholes to fit your buttons along the hem of the smaller length of fabric. Next, lay the other hemmed piece of fabric to face the buttonholed one so that they are level in width and directly facing each other. 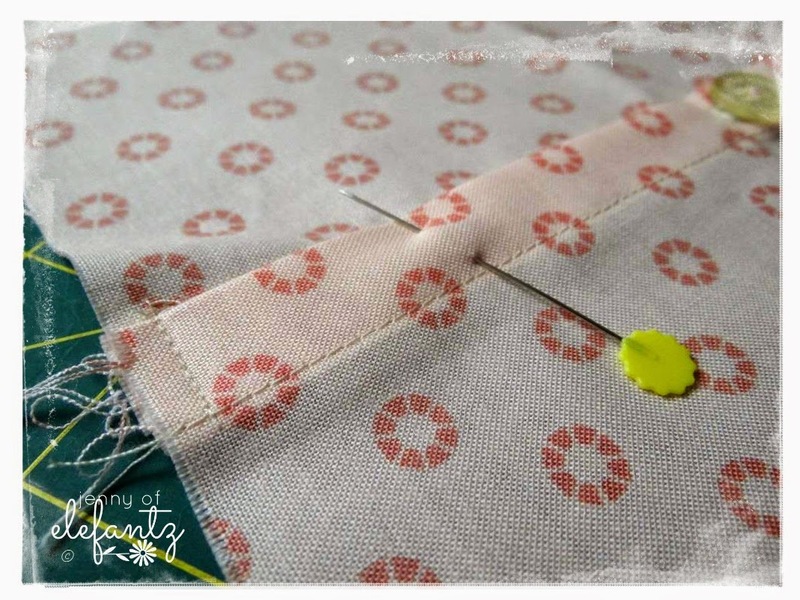 Make a small pencil mark where you need to sew your buttons in place - this will be opposite the middle of each buttonhole. 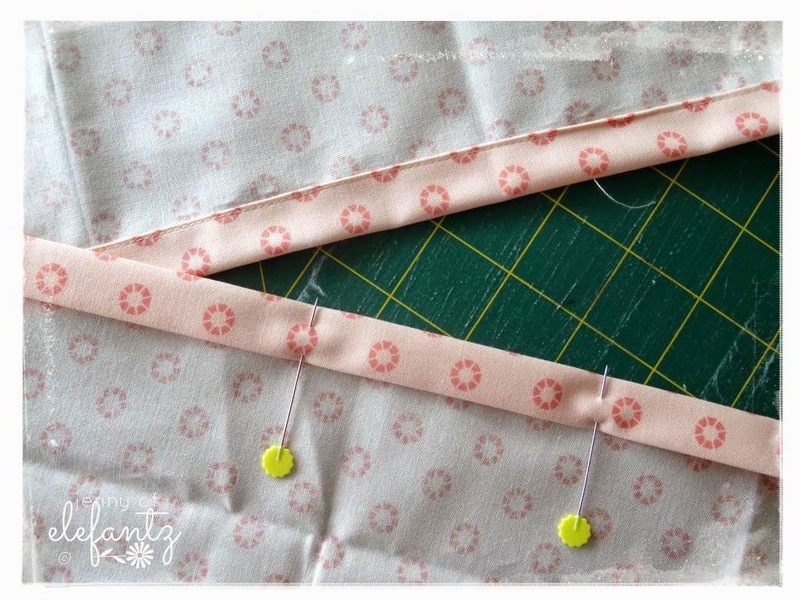 Use small sharp scissors or a seam ripper to open the inside of the buttonholes. Button both pieces of the back together. This is very important step as it allows you to easily turn the pillow right side out at the finish. 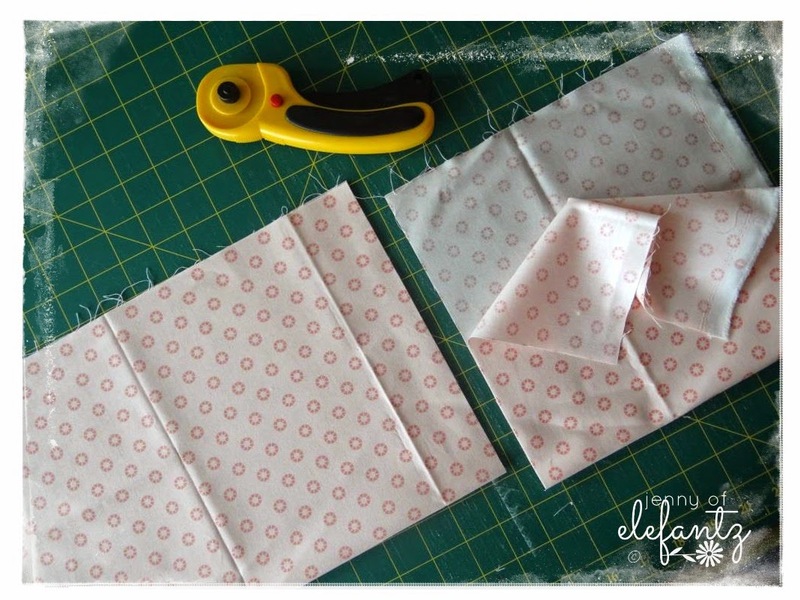 Sew around all four sides with a ¼” seam. Turn the pillow right side out through the opening along the back, and gently push out the corners with a rounded tool (I use an extra large wooden knitting needle). 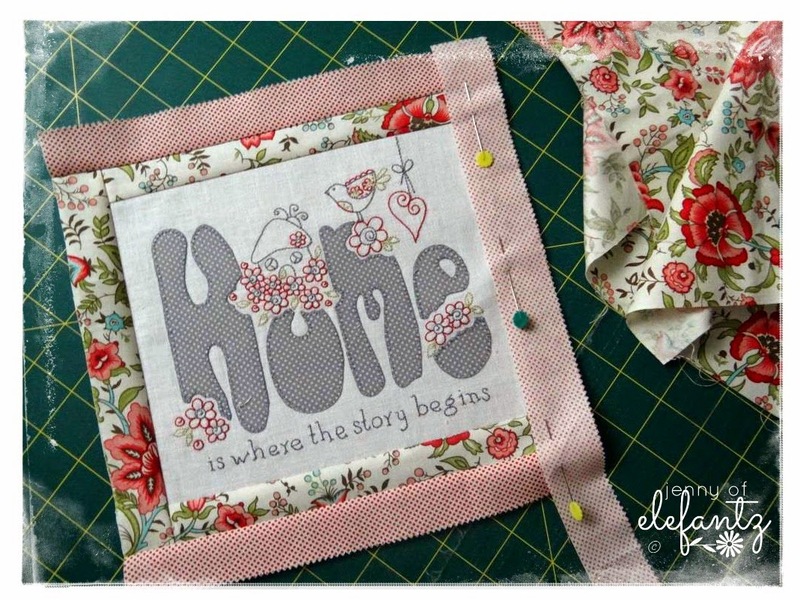 Press flat, place a cushion insert inside, and button up! 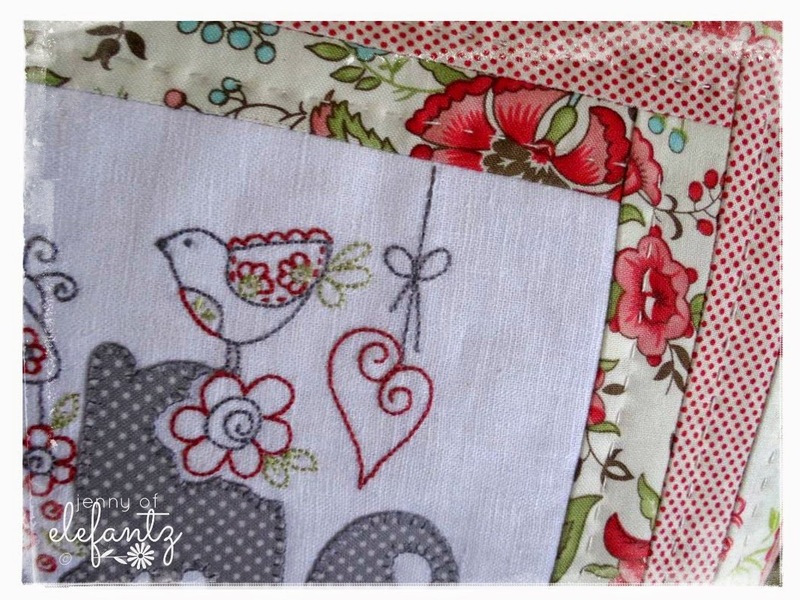 The pillow will sew up rather quickly, and if you prefer you could always machine quilt instead of hand quilting. 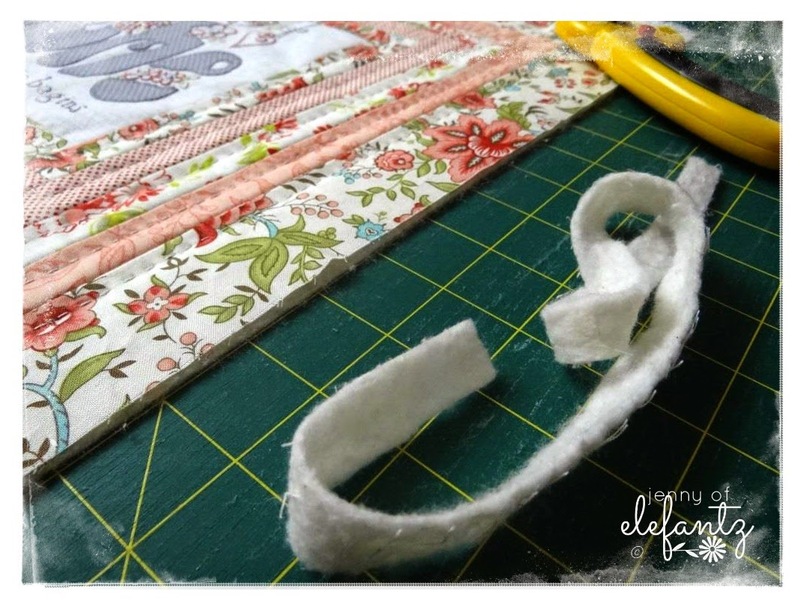 Use some of the lovely fabric scraps already in your care, and enjoy the process. Your work is AMAZING!!!! So blessed to have found your blog yesterday. I hope it is alright to share you blog on my own today. If not I will take the post down ASAP!!! Thank you Jenny, this is just perfect to make for my youngest son and his girlfriend who have just set up home together. 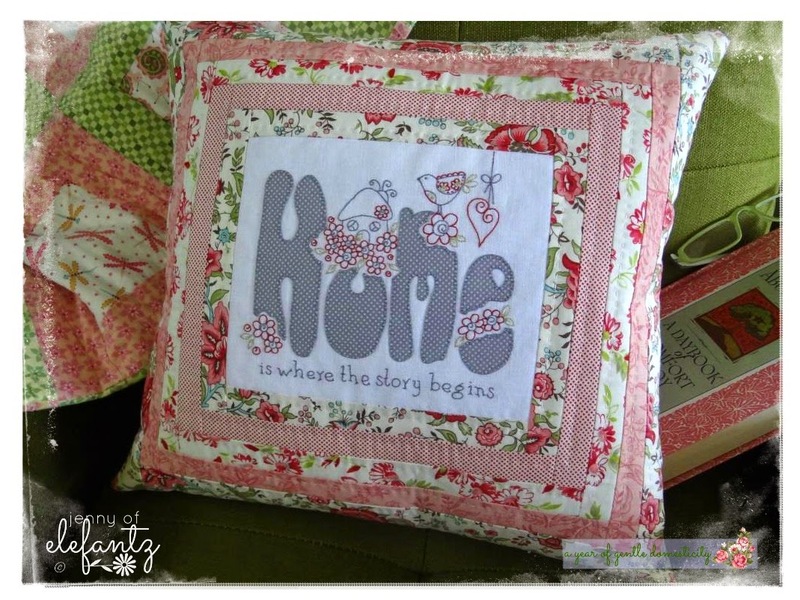 I have bought the pattern and plan to begin this cushion this week end :) Oh and my book of gentle domesticity arrived yesterday - such a lovely book to have, thank you for recommending it. I have I told you how much I enjoy reading your blog everyday? You encourage and inspire me so very much - such a blessing to all who visit your space. Beautiful! I love it! You do such lovely work. Beautiful! I might use this to make my hand-resting pillow. I am going to try stitching as you do. 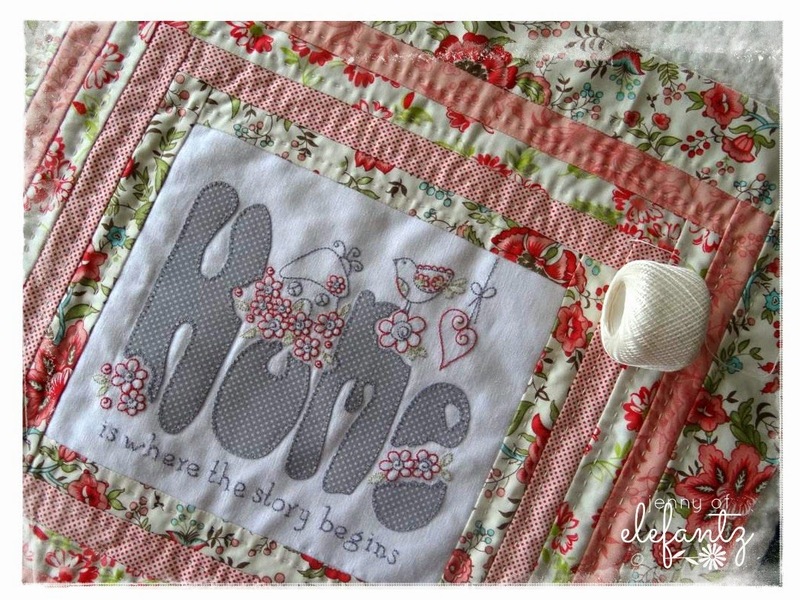 Love your blog, love your patterns and love the Bible study verses. I am using Sunday's verse as my memory verse this week. Trying to memorize at least 2 verses a month. The tutorial was excellent! Love it. 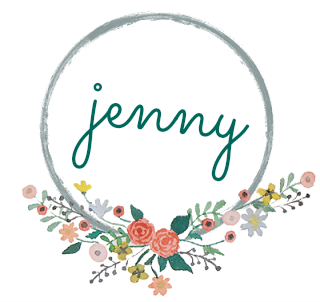 There's definitely a Jenny look that you create, not using the same fabrics, but the same general kinds and similar colors, I suppose. This will fit right in! Thanks for the pillow tutorial. A pillow is coming soon! 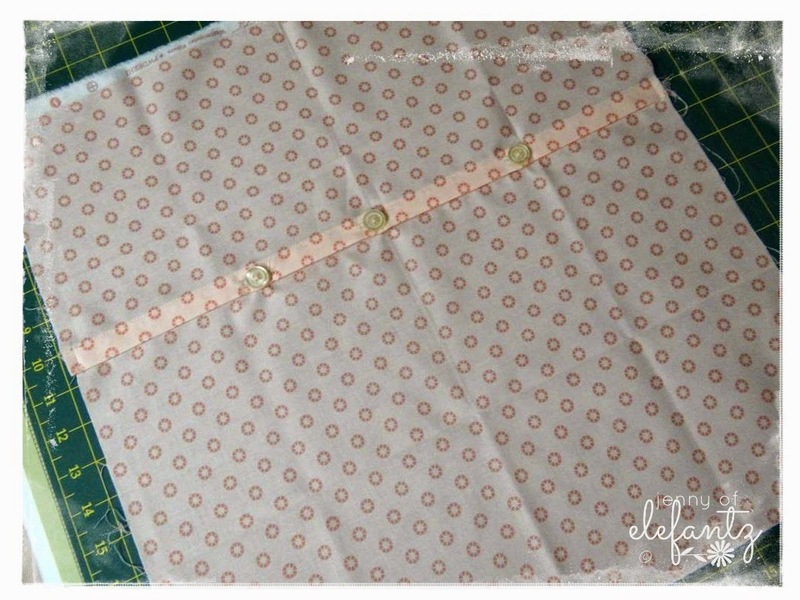 I've never done the buttons on my envelope back, but I think I will have to try that. Nice design feature. Another wonderful tutorial. Thank you so much. When using pearl cotton, what kind and size of needle do you use. I can't seem to get one thin enough with a eye large enough. I love the look of the pearl cotton. 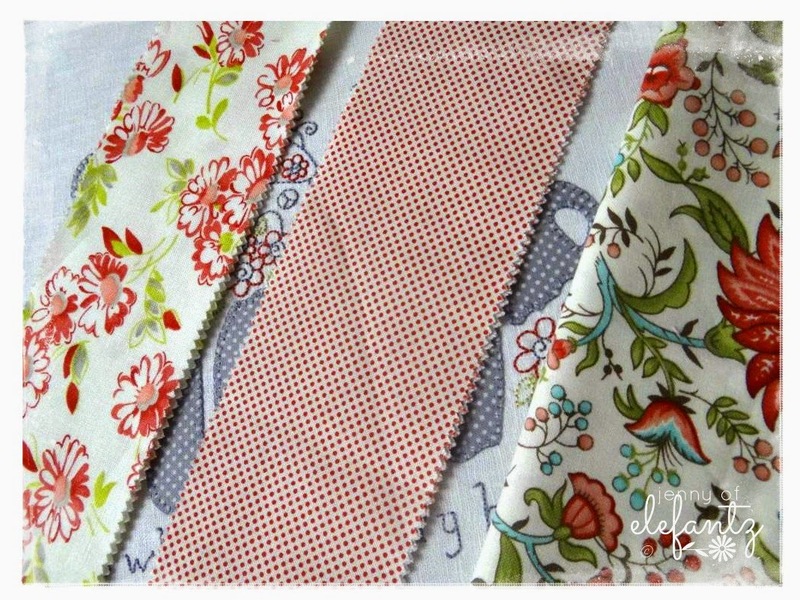 Love the fabric combinations! Lovely colors! Hey, I recognize that pincushion, lol! 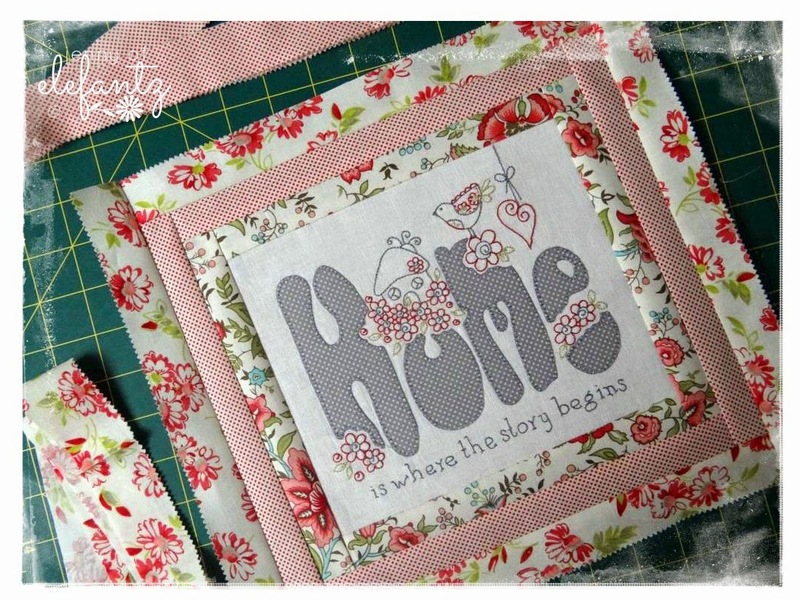 I adore this tutorial sweetie, must make one for myself using that precious design. I love it! This is just adorable. Your instructions are always so complete and clear. I feel like I can do anything you give the instructions for. Oh now you've just complicated things for me!! I finally decided on a stitchery I want to make for my best friend from high school and I was going to put it in a frame like you do so many of yours. Now I think it would look nice as a pillow! Decisions decisions . . . at least it's a good kind of complication :) . . . and thank you. As always, beautiful work.